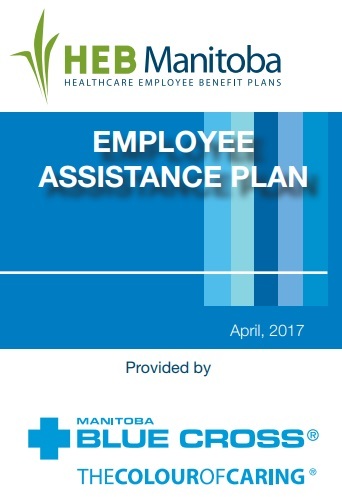 Manitoba Blue Cross is pleased to provide you and your family with benefits under your Employee Assistance Plan (EAP). The EAP gives you direct access to professional counselling services designed to help identify and resolve personal concerns affecting your health and well being. Issues such as personal or work related stress, or the search for a healthier lifestyle are concerns we all have at different stages in lives. Even though we can deal with most of these situations on our own, we may want assistance in clarifying our choices and goals. The EAP is a resources for those who value individual responsibility and want to improve the quality of their lives. The attached are EAP family cards with contact information for use by your individual family members.